Cofounder of the Social Democratic women’s movement of Tyrol and the first Social Democratic woman in the Tyrolean Parliament. Maria Ducia was one of the most important women in the Social Democratic women’s movement of Tyrol. She called for the political participation of women at a time when it was against the law for them even to form political associations, let alone vote. In the national parliamentary elections of 1907 all males over 24 were granted the general, equal and direct franchise. Women had to struggle another eleven years; not until 1918 did they gain the right to vote and run for elected office. In 1910 the “Action Committee of the Free Political Women’s Organisation” was founded. Maria Ducia was involved from the beginning, first as its secretary and after 1911 as its chairwoman. She is mentioned as a politically active woman for the first time in reports of the “Volkszeitung” from 30 May and 15 June 1910. In 1911 she called for active and passive voting rights for all women. She spoke out forcefully and eloquently for woman suffrage at the first Austria-wide International Women’s Day held in the Lienz restaurant Glöckelturm. In Innsbruck, Landeck, Merano, Bolzano, Franzensfeste and Lienz she campaigned tirelessly as the “Tyrolean Suffragist,” demanding “We want votes for women!” and passionately and convincingly expounding on the inequality between the sexes and the resulting injustice toward women. She was the first Tyrolean woman to speak at a public political meeting. Her success in winning many women over to her cause gave rise to the Social Democratic women’s movement in Tyrol. Maria Ducia pursued a form of “politics by women for women;” her political and philosophical mentors and models included the Viennese Social Democrats Adelheid Popp, Amalie Seidl, Gabriele Proft and Emmy Freundlich, with whom she also maintained personal contact. Together with North Tyrolean colleagues Maria Ducia organized the first Tyrolean state women’s conference in March 1912 – an important date in the history of the Social Democratic women of Tyrol. Ducia was elected to the six-person State Women’s Committee and chosen as state representative (Landesvertrauensperson). She remained in these positions until 1934 except for a break between 1926 and 1930. From 1924 on she represented Tyrol in the national Social Democratic Women’s Committee. Maria Ducia is a modern thinker. She demanded equal rights for both sexes, hence also a woman’s right to to have a job outside the home; she called for stronger female representation in all bodies; she spoke out against grievous social conditions and for the liberation of the working class and campaigned for the political, economic and social equality of women. Educational policy was of particular concern to her; she especially wanted to abolish the requirement of celibacy for female teachers. 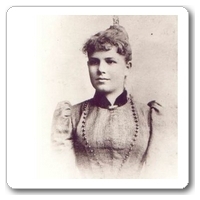 She argued that a teaching career has much in common with motherhood and, using somewhat biologistic logic, described the enforced unmarried status of female teachers as a “perversity of their entire life.” The red thread of her activity was consistent: emancipation of the women of Tyrol. In 1919 she joined the Tyrolean Parliament as a Social Democratic representative. An intelligent and quick-witted politician, who saw herself above all as a representative of women. She was actively engaged in women’s politics for 25 years. 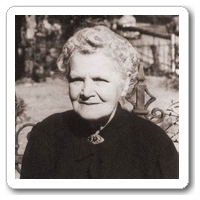 Maria was born on 25 April 1875 in Innsbruck as the fourth child of the midwife Monika Neuner and Josef Peychär, a master tailor who hailed from Bohemia. Up to her fourth birthday little Maria was cared for by peasants in Sistrans. After elementary school she worked as a sales person. At 16 she ran away from home, going first to South Tyrol. She learned Italian and turned up in a bookstore in Rovereto, then in St. Gallen in Switzerland, where she worked as a sales person and had her first child in 1898. The single mother had little Karl cared for by a farm family. Her next stop was Munich; here she worked in a tobacco factory and took an evening course at the Academy of Art. In 1900 she gave birth to Leopoldine, returned with her to Innsbruck, and found a job with the furniture dealer Eugen Walter. 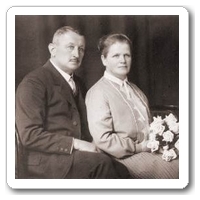 Around 1900 she went to Lienz to open and manage a branch for him. In 1903 she married the locomotive operator Anton Ducia and bore three girls and a boy between 1903 and 1907. She lived with her husband and six children in a 60-square-meter apartment in Lienz in railroad employee housing in the Rindermarkt. Railroad workers, who had been coming to East Tyrol since 1870 with the construction of the Pustertal railway, brought ideas of Social Democracy to the province which were felt to be “threatening” in the Christian-socialist Lienz of the time. It was considered disreputable to be a “Red” living in the housing of the Südbahn (southern railway). Maria Ducia purchased the furniture store at 144 Rosengasse and became financially independent. In 1907, however, she was forced to give it up again because of the pressure of competition. Soon afterwards Maria Ducia began her political career…. As an entrepreneur, political figure and mother Maria Ducia was a thorn in the side of the residents of Lienz. The agitator for women’s rights and the emancipation of the proletariat did not fit their ideal of “home and hearth” one bit. The Ducia family moved to Innsbruck in 1919. In her old age Maria Ducia lived with her daughter Amalie and her family at 18 Müllerstraße in Innsbruck. She died at age 84 on 15 May 1959. In December 2007 competition for the Maria Ducia Womens’ Research Prize, sponsored by the Tyrolean parliament-club of the SPÖ for the amount of 1500 Euros, was announced for the first time at the University of Innsbruck. Feminist and women-focused topics for diploma theses and dissertations may be submitted.